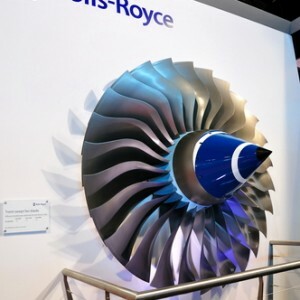 French aerospace, defence and security firm Safran SA (EPA:SAF) said Tuesday it had agreed to buy UK Rolls-Royce Holding PLC’s (LON:RR) 50% interest in the joint RTM322 helicopter engine programme for EUR293m (USD382m) in cash. The transaction also includes the intellectual property rights related to the programme as well as Rolls-Royce’s 50% stake in the Rolls-Royce-Turbomeca (RRTM) joint venture. Following completion of the deal, which is seen to occur by the end of 2013, after receipt of regulatory green light, Safran’s helicopter engine unit Turbomeca will take on responsibility of the activities related to the RTM322 engine, with Rolls-Royce providing support during a period of transition of the activities. RTM322 is viewed as a priority project for Turbomeca, which is committed to develop it to boost its global performance, Safran noted. The deal also crates aftermarket business opportunities relating to the existing fleet, the buyer added. Following the transition period, Safran expects the move to correspond to benefits translating into over EUR30m of operating income annually, including synergies and new commercial opportunities. Rolls-Royce’s stake in RTM322 represents revenue of some EUR85m per year.